Sou | 12:58 AM Feel free to comment! 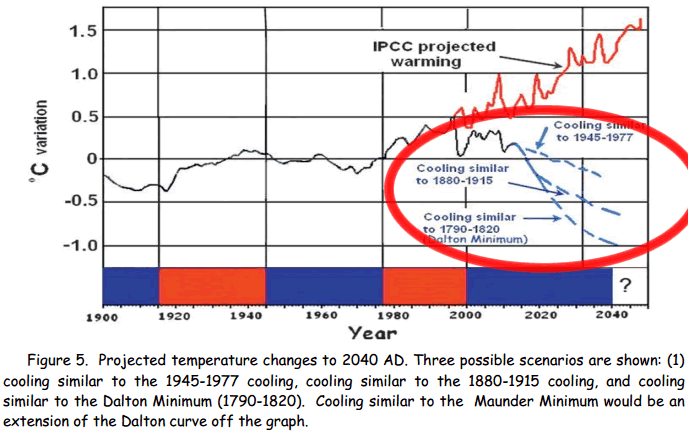 With the deniers at WUWT complaining about the UK Met Office (which doesn't do too badly), and Benny Peiser from the GWPF getting everyone worked up over a supposed ice age, I figured I'd see how the denier predictions stack up. 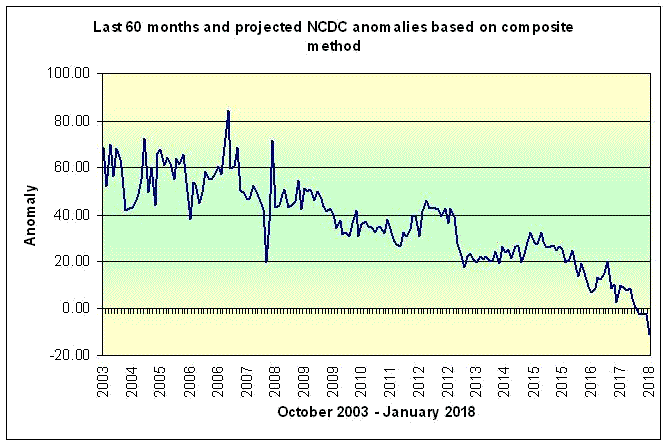 A few times a month Anthony Watts gives voice to the ice age alarmists. They are a weird bunch. 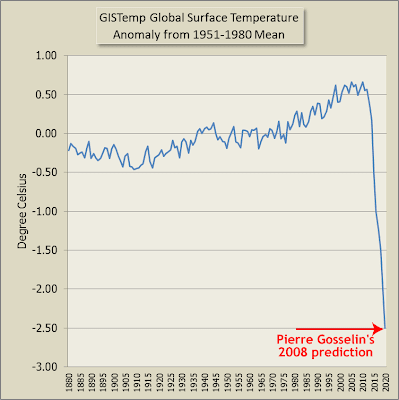 Most deniers are of the type that fear fear but not the ice age alarmists. They are contrarians. You may have met some of them. First, here's Benny with some global cooling alarms. 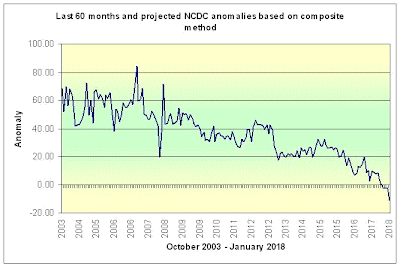 July 2013: Newsbytes: Sunspot Enigma – Will Inactive Sun Cause Global Cooling? There is Ed Hoskins, who thinks an ice age is coming because he reckons central England started getting cold thirteen years ago. Why he thinks there should be an ice age based on the temperature record of central England escapes me. In any case, he maintains central England "lost all the gains since 1850". He is very wrong. Only seven years ago, in 2006, central England had the hottest year in its 353 year record and in 2011 it had its second hottest year in its long record. 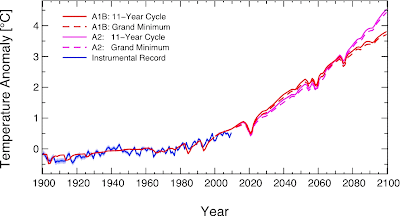 Nine of the ten hottest years in central England occurred in the last 23 years and seven occurred from 1995 onwards. 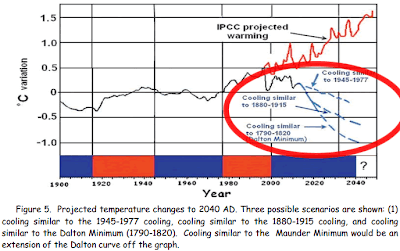 Just look at the chart and compare it to the temperatures of the mid-1800s. Deluded Ed is deluded. David Archibald is an Australian who makes the wildest claims. He says that by 2020, Earth will become colder than it has in the entire Holocene. Colder than the Little Ice Age. Colder than any time in the past ten thousand years. He is an extreme alarmist. Here is his prediction, which he says is based on "on solar maxima of approximately 50 for solar cycles 24 and 25". David is counting sunspots. Solar cycle 24 was very weak as far as sunspots go, yet the temperature didn't drop. Instead it kept rising. 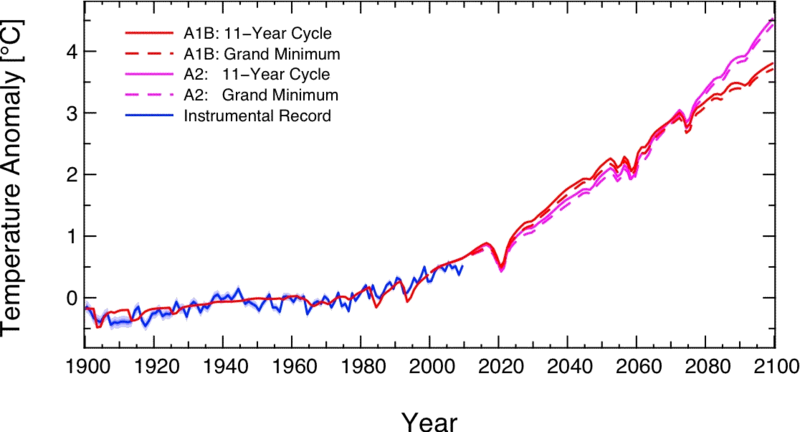 2010 is the hottest year on record so far. 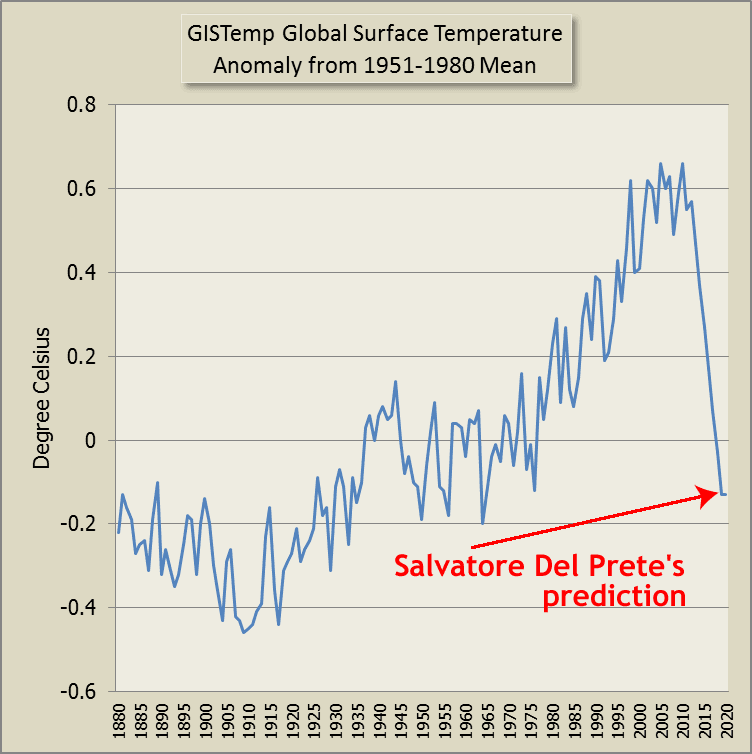 For a discussion of solar forcing, sunspots and TSI, there is a good article on skepticalscience.com. There is another regular on WUWT who goes by the name Salvatore Del Prete. I don't think he's posted any articles yet. He pops up frequently in the comment sections. 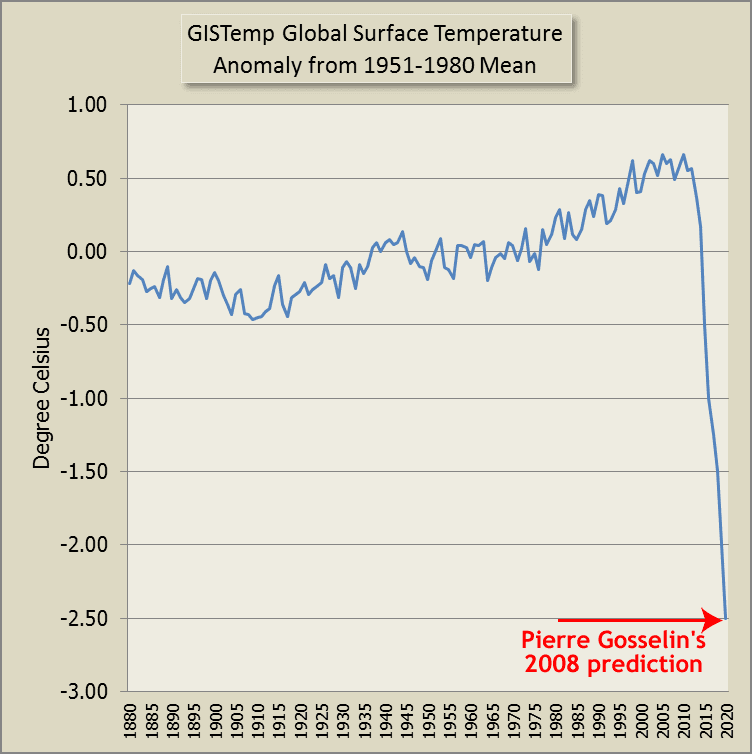 He predicts that before seven years is out, Earth will get colder than it has in more than half a century. Not quite as severe a drop as David "funny sunny" Archibald, but it still defies all physics, logic and reason. Here is his alarmist prediction. Don can't seem to get his story straight from one month to the next. I found an old WUWT thread of predictions. There are a few from some of the current regulars plus some unfamiliar names. October 23, 2008 at 2:03 am -2.5°C by 2020!...My prediction is we’ve started a nasty cold period that will make the 1960s look balmy. We’re about to get caught with our pants down. And a few molecules of CO2 is not going to change it. October 24, 2008 at 10:55 am Cooling continues into the next decade. By 2011, on average, we are back where we were in the early 1800s. The global food crises continues to worsen. The amount of viable ag land in Eurasia, particularly the interior, shrinks dramatically. As happened during the period 350 – 800 AD, this places migration and conquest pressure on the great powers who live there, especially Russia and China. They mount a general offensive, resulting in additional cooling due to the effects of WMDs used to smash Western and pro Western strategic military assets. The new Dark Age begins. October 22, 2008 at 3:00 pm A thread after my own heart. Folly or not, prediction is what actuaries do. Why should letting a little thing like unpredictability in temperatures stand in the way of making a projection? My methodology is based on actuarial papers, in looking at temperature as a series of values driven by constantly shifting parameters. 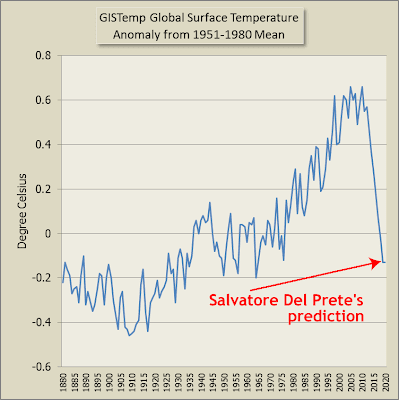 Correlation is assumed to be driven by 132 months of historical measures.